The Student Government Association is creating the foundation for a permanent committee to address homelessness in Atlanta — specifically within Georgia State’s student population. 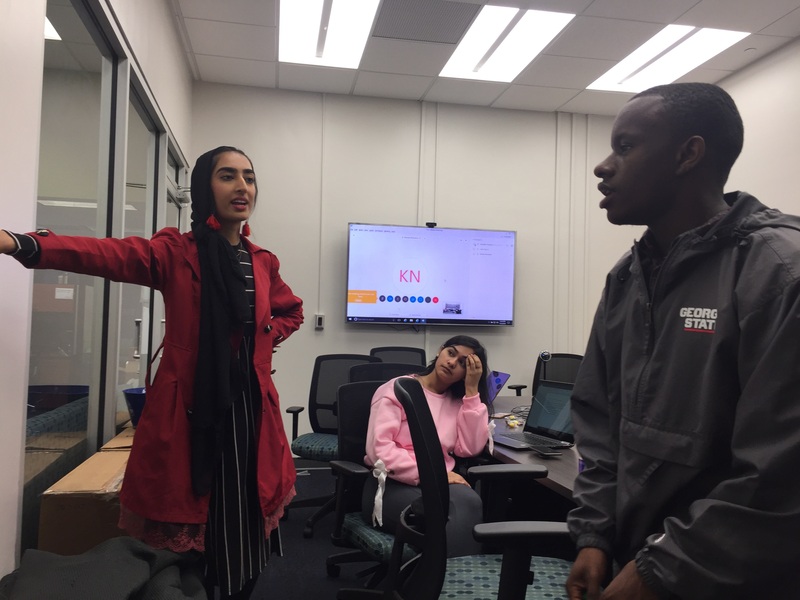 At their latest university-wide meeting on Nov. 1, SGA voted to establish an ad hoc Homelessness Committee that will work with non-governmental organizations in Atlanta to provide aid and resources to the homeless. The committee was sponsored by Sen. Cherilyn Munoz and gained unanimous support. Several senators volunteered to join the committee, though anyone is able to regardless of SGA involvement. They haven’t voted on a committee chair yet but plan to do it at one of their future meetings. At the meeting, SGA members were present both in person and via video chat to discuss and debate short-term and long-term solutions. The senators settled on the short-term solutions that they said were easier to accomplish. SGA Executive Vice President for the Atlanta campus Ayesha Iqbal led the group in their deliberation. Iqbal said that as a city, Atlanta isn’t focusing on new laws to address homelessness. That’s something the committee hopes to change. “We don’t touch on the policy issues. If we come together, we can gear the City of Atlanta to work on policy issues,” she said. One of the key issues that interests the committee is the population of homeless Georgia State students. The committee’s initial plan is to reach out to other organizations on campus and gather statistics on homelessness in Atlanta. After that, they plan on meeting with Atlanta’s homeless population and Georgia State University Chief of Police Joseph Spillane. They also plan to meet with students from Oglethorpe and other universities in Atlanta to determine if an inter-university collaboration would be possible. The committee plans to hold a protest in front of City Hall or another high-traffic area in an effort to influence political action. The committee is still in its infancy, but all of the members present at the meeting held an apparent passion to end homelessness through community outreach and a possible fundraiser through GoFundMe.